● Approximately 13 cm (height) × 8.5 cm (width) 320 g Sesame, Sangiri and flower in which various views are impressive. It is an affordable desktop size where the soil is clearly shown using rough soil. 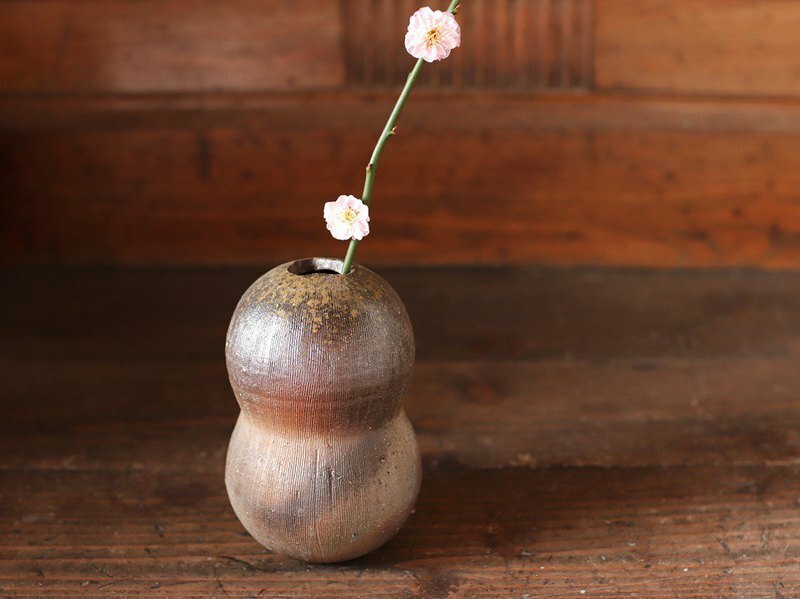 Bizen ware has fine pores and slight breathability, so the condition of living water for a long time is kept and the flowers last longer. ● The product is handmade, it is one point. ● Please understand beforehand that there may be some differences in color in the product image and the real thing. ● This item is recommended for those who would like to enjoy the texture of warmth not existing products.